Spring Washam. Photo by Bethanie Hines. Like the Buddha, we all get our call to wake up. It often comes when life isn’t working and we may have to go a little crazy. Here’s how Buddhist teacher Spring Washam answered her call. My birth was not a celebrated and magical event. My parents’ relationship had always been rocky and, sadly, it completely unraveled during my mother’s pregnancy with me. We lived in Bellflower, California, a low-income neighborhood between Long Beach and Compton, in a large concrete apartment building surrounded by chaos. Gangs were commonplace and I became used to the sounds of gunshots, sirens, and police helicopters. Even as a small child I felt a lot of love and compassion for my parents, and I recognized early on that they were themselves survivors. My father left soon after I was born and my mother worked as much as she could for us. With state aid and food stamps, we just got by. If we really listen, we can hear that life is trying to get our attention as well and wake us up. This call to wake up happens when our lives are no longer satisfying, when we have lost interest in all the things that once made us so happy. I wasn’t allowed to play outside very often, so my earliest memories are of my sister and me jumping up and down on an old green sofa in our tiny living room. I can remember thinking at an early age, “Wow, this is going to be a very difficult life.” I understood even as a child that I was going to have to bloom in very muddy waters. 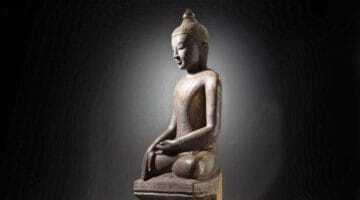 About 2,600 years ago, an Indian prince named Siddhartha was born amid many favorable signs. His father, the king, was determined to protect him against the reality of suffering, and the prince grew up within the walls of the palace with every luxury one can imagine. Around the age of twenty-nine, Siddhartha began to feel dissatisfied with his princely life and deep feelings of unhappiness began to grow. He longed to explore the world and convinced his reluctant father to let him leave the palace on an outing. This gave the gods and spirits the opportunity to arrange a series of signs that would help Siddhartha wake up and see the truth of life. These signs have become known as the four heavenly messengers, and they changed the course of his life. The first messenger that he encountered was a very old man, covered in wrinkles, bent over, and barely able to walk down the road. His father had only allowed young and beautiful servants in the palace, so this was an unfamiliar sight. Siddhartha now realized that his youth would someday end and he too would grow old. The second heavenly messenger the prince encountered was a very sick man. He was covered in bloody sores, lying in pain on the floor of a mud hut. Because his father had forbidden sick people from entering the palace, the prince had no experience of illness and disease. Now he realized that he and all others would eventually become sick, and his heart was filled with compassion. The third heavenly messenger was a large funeral procession. A corpse, wrapped in cloth, was being carried to the charnel grounds to be cremated. Siddhartha stayed at the charnel grounds for hours watching the body slowly burn and disappear, and he realized that death awaits us all. As Siddhartha continued traveling along the road, he saw the final messenger: a radiant monk dressed in very simple robes, carrying a small bag and a bowl. The sight of this peaceful monk awakened the deepest yearning Siddhartha had ever known. Following the call to awaken of these four heavenly messengers, he rode his horse to edge of a beautiful forest and, on the banks of a river, ordained himself. The call speaks to us in questions: Who am I? What is my purpose? What am I doing with my life? This internal dialogue can be frightening, even overwhelming. As we look for answers, we are forced to question the very foundation of everything that we hold on to—our relationships, religious views, politics, career choices, and even our social status. When we say yes to the call to wake up, the people, situations, and opportunities we need to move forward present themselves naturally and at the perfect moment. As this process of self-discovery moves toward greater understanding, a radical shift starts to happen. Sometimes our inner questioning takes us to exotic environments or new communities. We may be drawn to things that are unfamiliar, taboo, or even dangerous. In our attempts to discover our deepest truth, we may begin dancing, singing, exploring our sexuality, or following a new spiritual path. This process is often misunderstood in our culture. It is labeled a midlife crisis, Saturn’s Return, or even a nervous breakdown. The powerful call to awaken can be shocking and confusing to people who are accustomed to seeing us behave in our old predictable ways. It may seem that we have gone temporarily crazy—and we may feel crazy at times. This is when we must be willing to take a leap of faith—to trust our inner voice and overcome doubt. To trust what is emerging and bow to the wisdom of the ancestors. During these times of awakening, things appear in our lives to sustain us. When we say yes to the call to wake up, the people, situations, and opportunities we need to move forward present themselves naturally and at the perfect moment. We might find refuge in a spiritual teacher or set of teachings. We may be guided to go on a vision quest or visit holy sites that hold power and meaning for us. We may have visions, dreams, or even experiences of non-ordinary states of consciousness. All of these can signal that something important is happening. In 1997, I had a complete emotional breakdown. I didn’t realize at the time that it was part of the call to awaken. It started with a book left accidentally on my dining room table by a family member. It was a beautiful book about the path of meditation written by a Hindu teacher. It reminded me of my life purpose and awoke my passion to live a spiritually based life. A few months later I moved in with my new boyfriend, even though we’d only known each other for a short time. We lived in a tiny, rundown house in the worst neighborhood in East Oakland. It was definitely “the hood,” and everyone seemed to be in a bad mood. Even our dog was grumpy all the time. Miraculously, I heard about a ten-day Buddhist meditation retreat starting in a few days. It was way out in the desert in Southern California. This was it! It was the break I’d been waiting for and it couldn’t have come at a better moment, because I was truly desperate. We had a pretty bad relationship and argued constantly over everything. To make matters worse, we both had telemarketing jobs aggressively talking people into buying expensive timeshares they didn’t need and often couldn’t afford. I had got myself thousands of dollars in debt and was being hounded by creditors night and day. I became very depressed and angry about the weird direction my life had taken. I was living with a man who made me absolutely miserable and every day I went to a job that I hated. My emotions were becoming more and more erratic. I couldn’t seem to stop crying and I was overwhelmed by anxiety and a sense of desperation. I began to smoke a lot of marijuana to numb the pain, but drugs and alcohol were only a temporary solution. Then one day it happened—everything started falling apart. I was fired from my job for calling in sick. I decided to end my tortured relationship and my car was about to be repossessed. I lay on the couch eating cookies, praying to God for help, and crying for a week straight. Miraculously, I heard about a ten-day Buddhist meditation retreat starting in a few days. It was way out in the desert in Southern California. This was it! It was the break I’d been waiting for and it couldn’t have come at a better moment, because I was truly desperate. I had been practicing on my own for over a year, and I knew I needed to learn how to meditate properly. 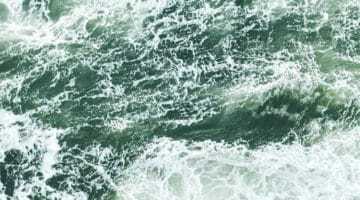 I was so excited by the idea of ten days of silence, healthy food, and meditation instruction that I was willing to do anything to get there. I somehow got the money together and registered. I had all of my belongings in my car, my last twenty-five dollars in cash, and nowhere to go when the retreat was over. I didn’t care, because I somehow knew that if I could just get to the retreat, everything would make sense. On the day the retreat was to start, I made the nine-hour drive to Southern California, crying hysterically, chain-smoking cigarettes, and drinking diet Mountain Dew. I had all of my belongings in my car, my last twenty-five dollars in cash, and nowhere to go when the retreat was over. I didn’t care, because I somehow knew that if I could just get to the retreat, everything would make sense. Looking back now, I see that what I went through during those ten days in the desert was a genuine awakening experience. I spent hours in sitting meditation, and my screaming, tormented mind finally became silent and peaceful. Doing walking meditation in the desert, I let go of oceans of tears with each step. For the first time, I encountered the teachings of the Buddha and immediately knew I had found my path. I met my teacher, Jack Kornfield, whose loving encouragement and steadfast belief in me have helped me transform my life. The last day of the retreat, I hiked way out into the desert and on top of a small hill, I prayed. I took a vow to follow these teachings until the very end. I had answered my call to awaken. This was the beginning of my meditation path. It wasn’t the prettiest of starts, but it often isn’t. In truth, it’s never where we start that defines us; it’s where we end up. 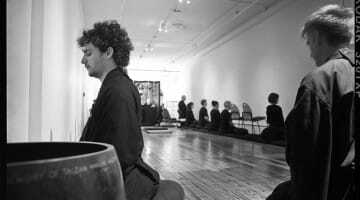 I went on to do many more Buddhist retreats, ultimately spending a total of almost three years in silent retreats, and became a Buddhist teacher myself. In my years of teaching, people have told me many beautiful stories about their lives, which have opened my heart and given me faith in the strength of the human spirit to soar and rise even in the darkest hour. If you were to write your our own biography, it would be filled with laughter and tears, times of tragedy and of triumph. Each one of us has a touching story of how we came to be and why we are the person we are today. Some of us are the descendants of slaves and others have fled war-torn countries. Many people in the West grew up in wealthy families that looked perfect on the outside, yet were filled with violence and confusion. Although we each have unique circumstances and diverse backgrounds, the threads of our personal journeys are woven together into the same beautiful tapestry. The Buddha said, “In a human life we all experience 10,000 joys and 10,000 sorrows. No one is free from this.” No matter what you have been through or experienced in your life thus far, understand that it’s only a starting point, and your greatest chapters are yet to come. 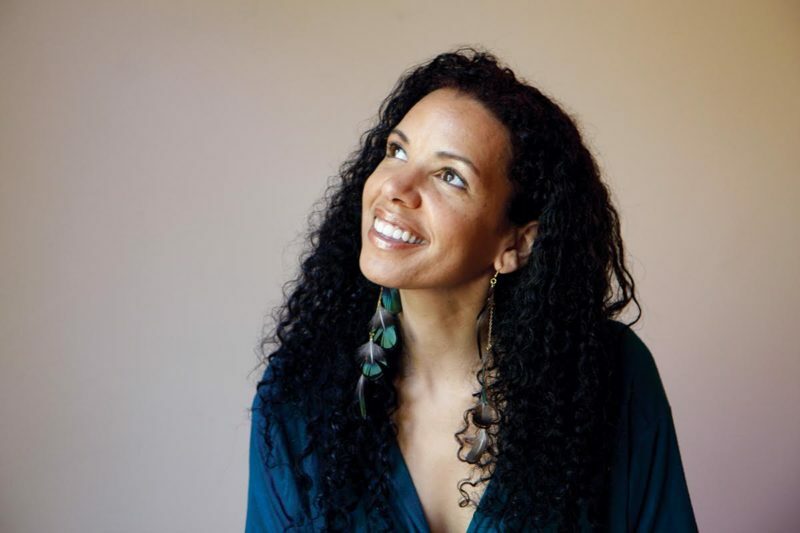 Spring Washam is one of the founders of the East Bay Meditation Center in Oakland, California, and a member of the teachers council of Spirit Rock Meditation Center. She is the author of the forthcoming A Fierce Heart: Finding Strength, Wisdom, and Courage in Any Moment (Parallax Press).